Project Digital Competences Development System (DCDS) aims to develop an innovative multilingual Digital Competences Development System fully compatible with the European framework DigComp 2.1 and use it to provide non-formal training to low-skilled adults in the non-formal education sector in different European countries. 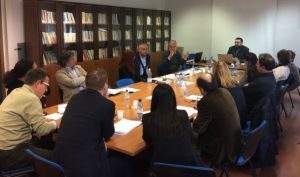 In order to set the basis for an effective development of such a framework, during the first six months of the project (January-June 2018), the project partners carried out a desk and a field research under the methodological guidance of the Association Study Centre City of Foligno (CSF). As part of the field research, project partners organised two types of focus groups in their countries – Greece, Italy, Latvia, Romania, Spain – with main stakeholders, such as training providers, educational experts, policy makers, representatives of government bodies, and with beneficiaries – adults with low digital skills. The core of the discussions with stakeholders was focused on the target groups, basic digital and transversal skills to be acquired by EU adult citizensб and related priorities that the DCDS project should address in order to better impact the lives of citizens with low digital skills. 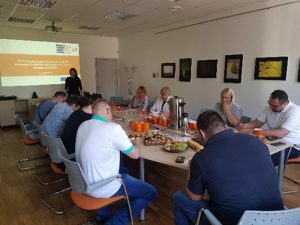 The beneficiaries of the project – adults with low digital skills shared their expectations and doubts about online versus face-to-face training, digital skills certification and assessment, and other topics related to the DCDS platform future development. The findings of the focus groups and desk research are used for the Context Analysis Report, which will be reviewed by project partners in July and then will be available on the project website.